Scroll down to view all available Jeremy Ranch real estate listings. To sort by property type, click under Jeremy Ranch Real Estate on right side of page. Jeremy Ranch is located within 20 minutes of Salt Lake City and less than 15 minutes from downtown Park City. Jeremy Ranch can be popular with residents who want a home in Park City, and are also looking for an easy commute to Salt Lake City. Jeremy Ranch is mostly situated around the Jeremy Ranch Golf Course. 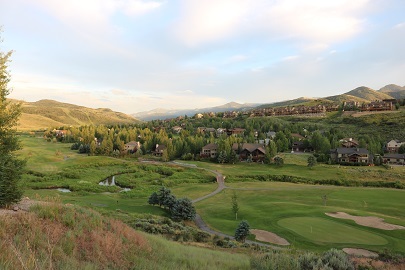 The course and club are private, although there’s no requirement for residents of Jeremy Ranch to join the club. The community features, single family homes and townhomes. The entire spectrum of prices are represented in Jeremy Ranch- homes built in the early 1980’s can be found at entry level pricing. Larger, custom homes in locations near the golf course or in gated communities within Jeremy command a premium. However, prices are lower than in communities closer to Park City, making Jeremy Ranch a relative value in comparison. Click Here to view recent quarterly Jeremy Ranch market statistics. There are several townhome projects in Jeremy Ranch, offering easy, no hassle ownership options. Like the homes, the townhome communities are diverse in size, condition and price.